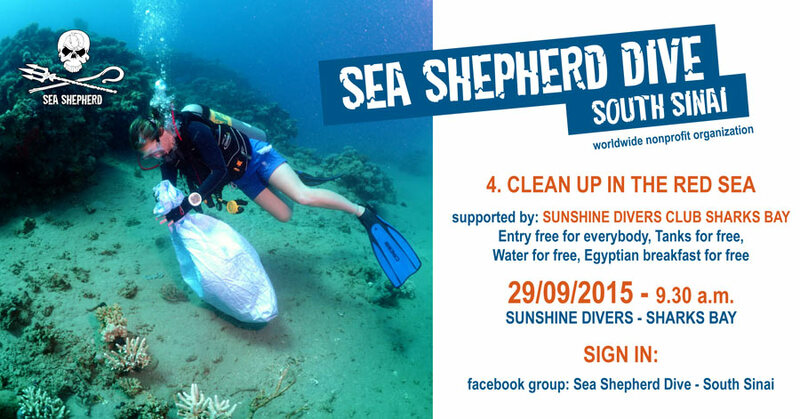 Sea Shepherd is launching an initiative for a beach cleaning in Sharks Bay. For this event Sunshine Divers is providing free beach entrance for everybody, also snorkelers, children and non-divers. Free egyptian breakfast and water, free tanks for certified divers and cleaners. Every single person is welcome to help and protect our underwaterworld.